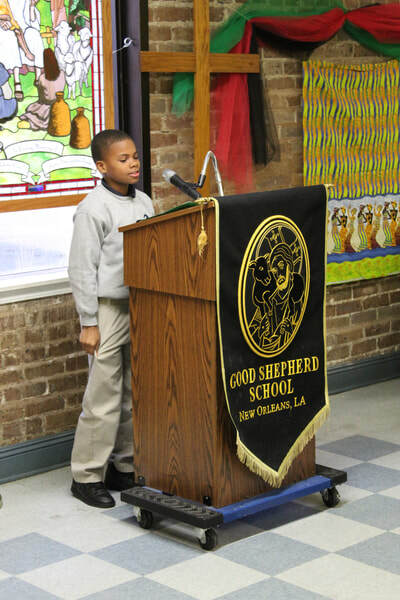 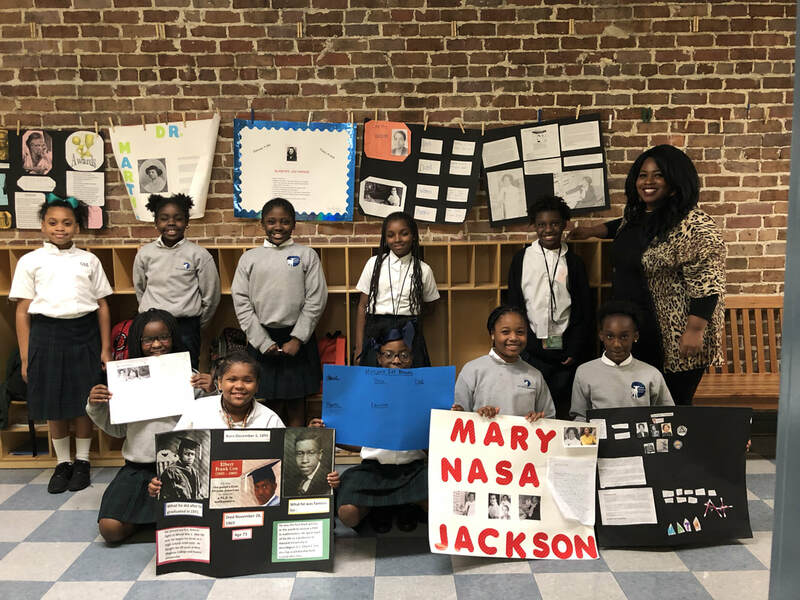 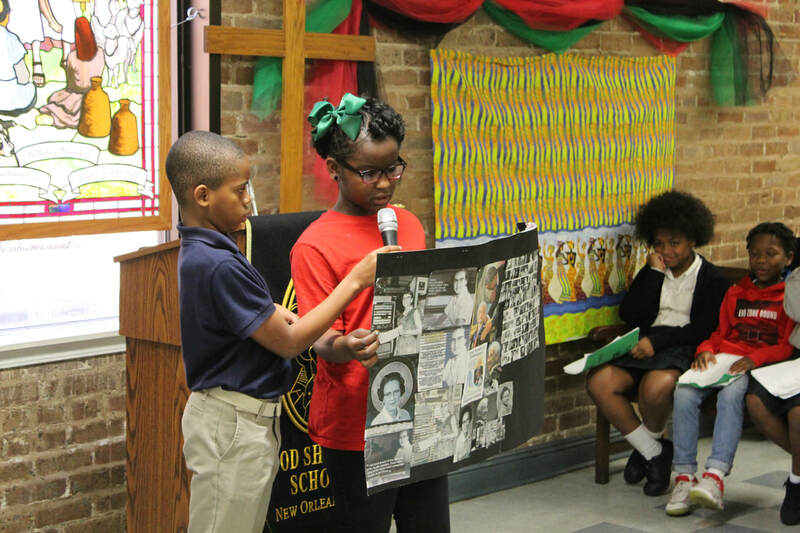 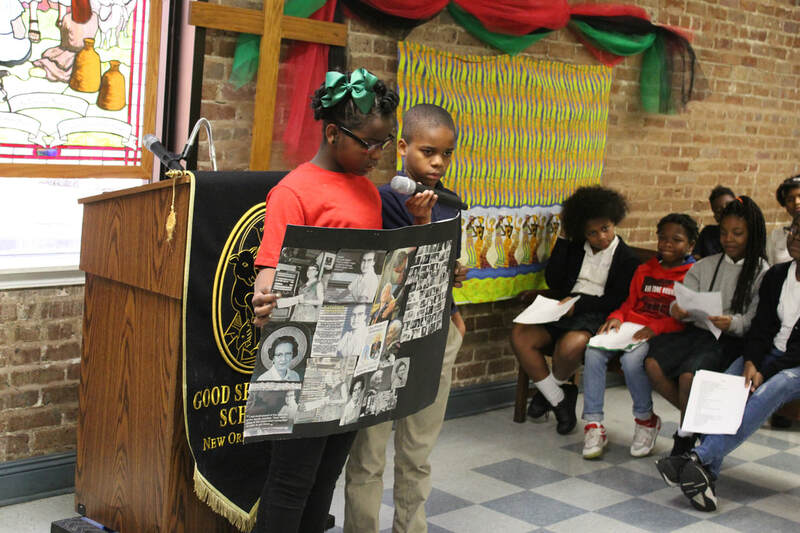 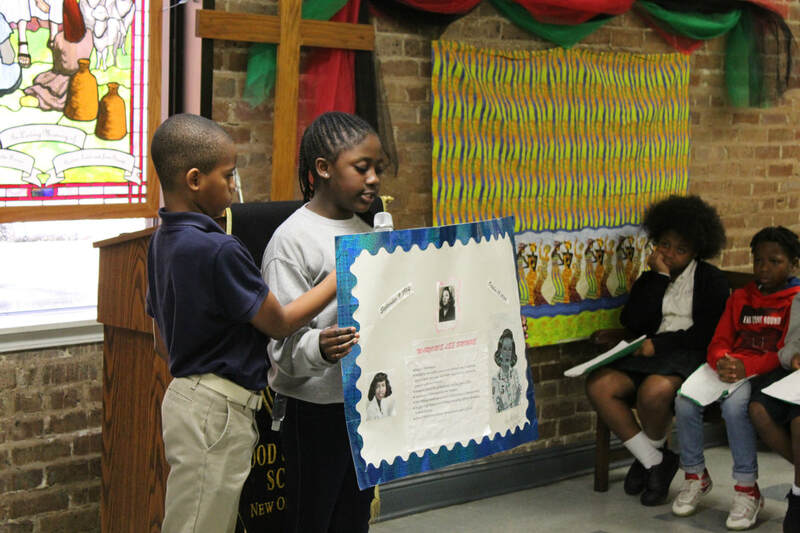 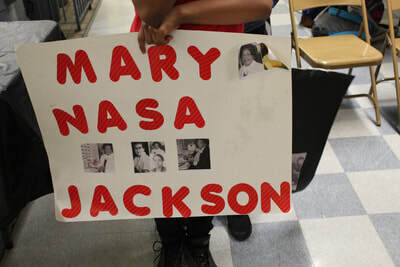 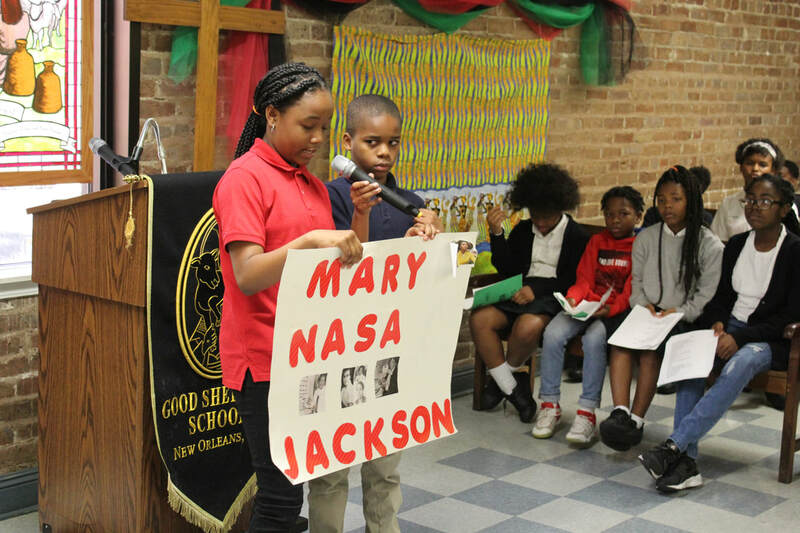 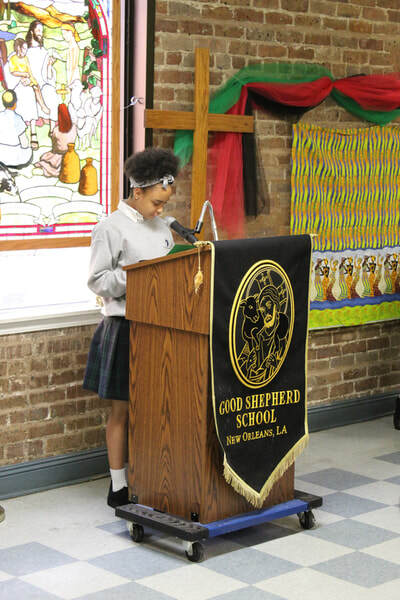 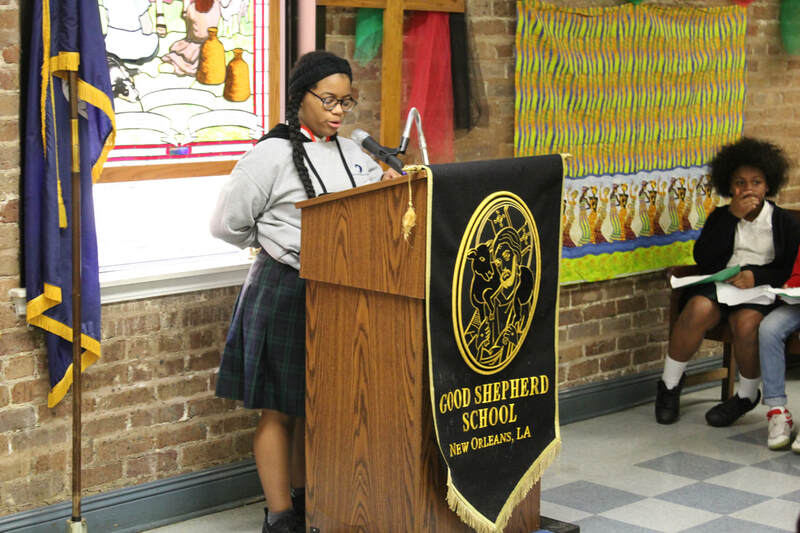 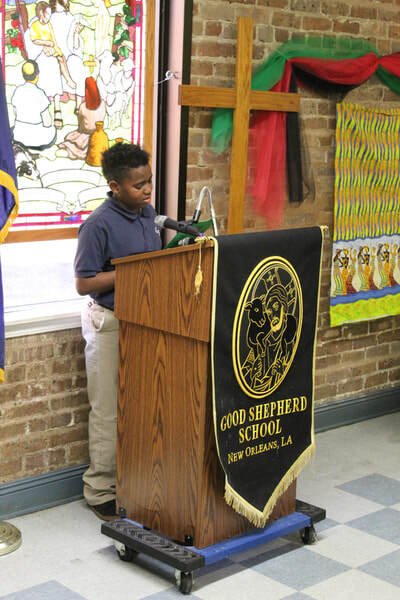 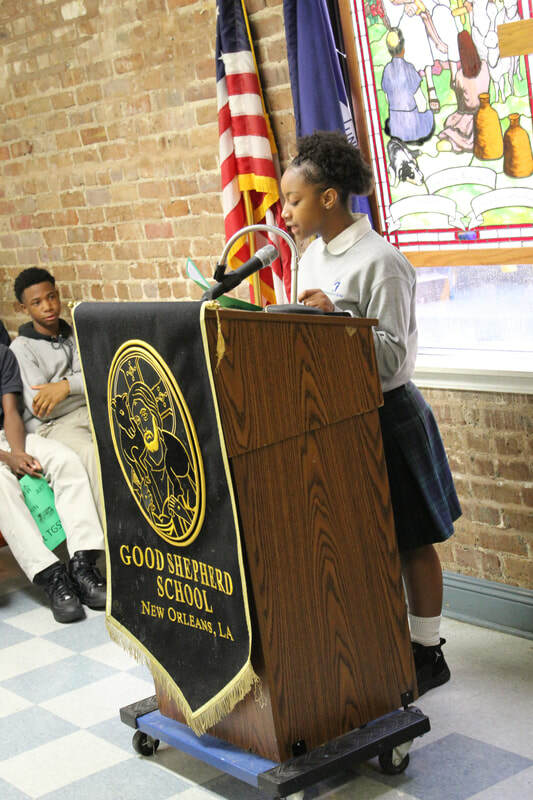 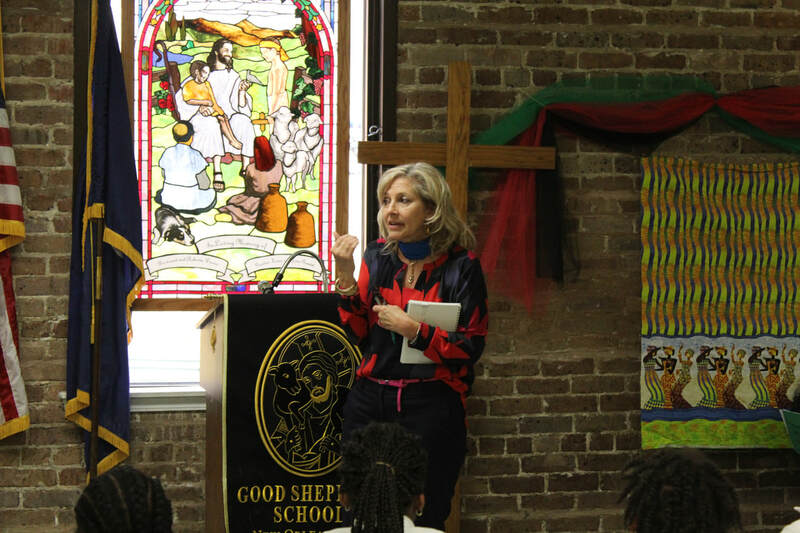 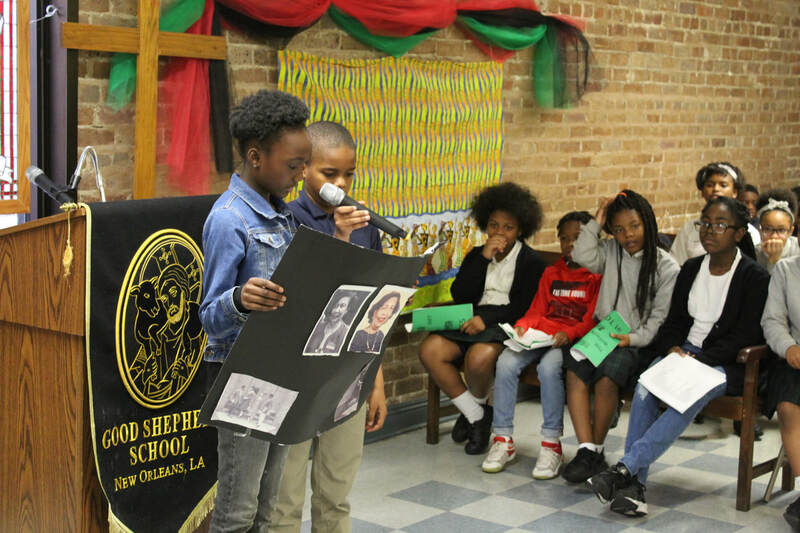 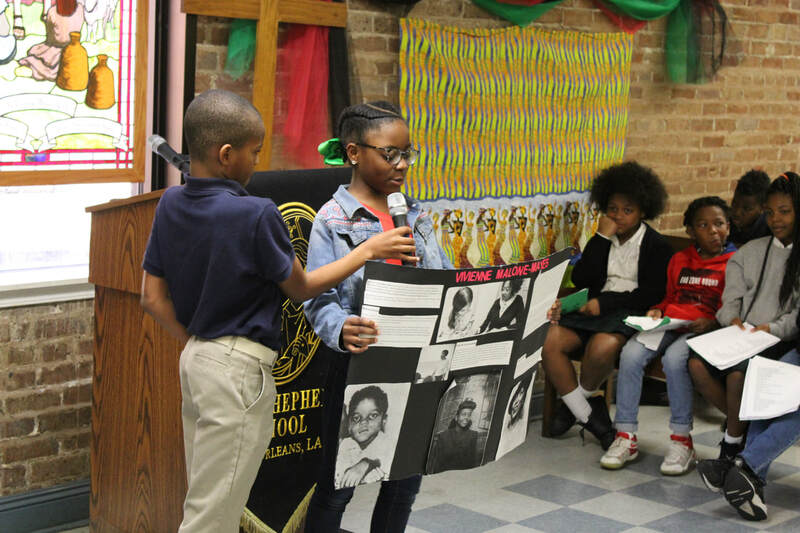 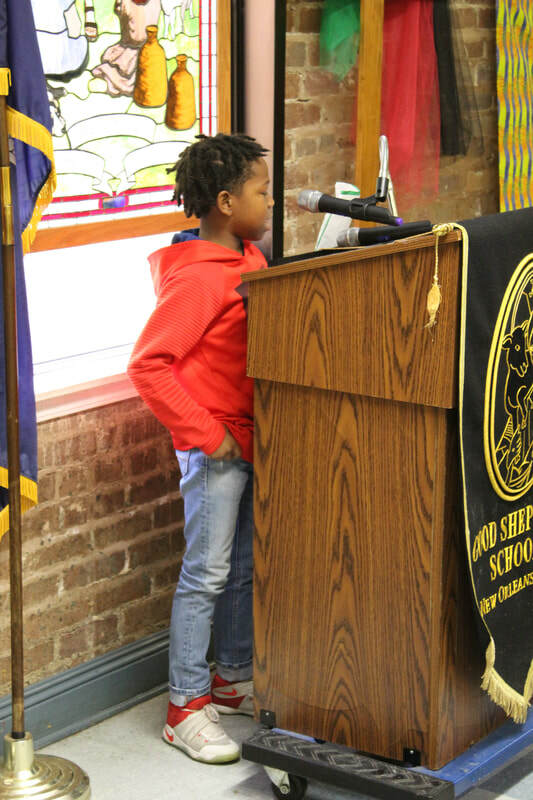 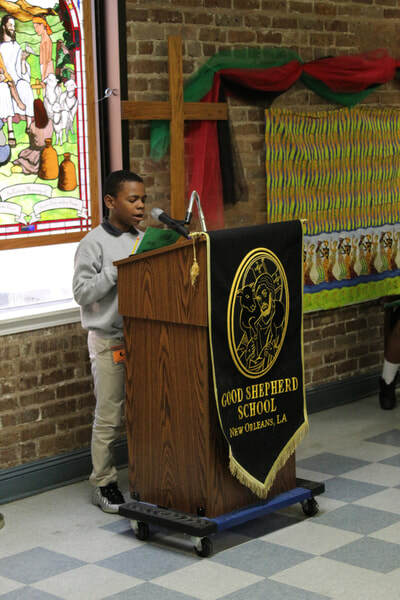 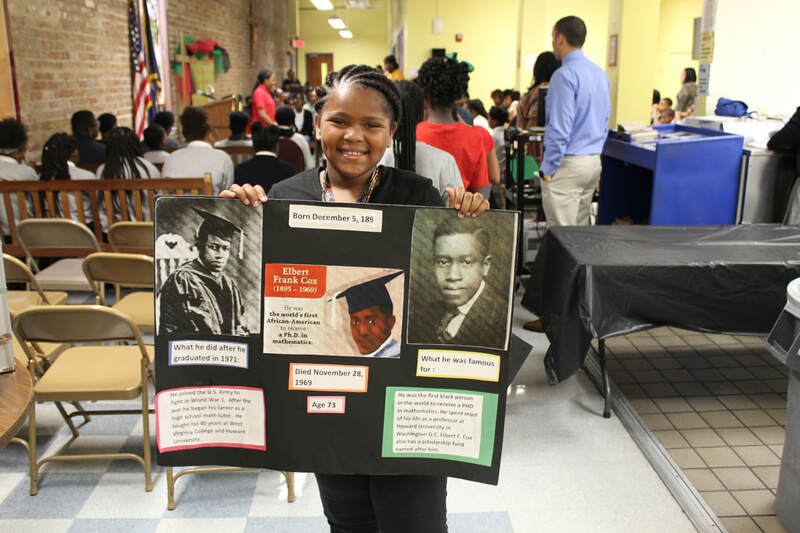 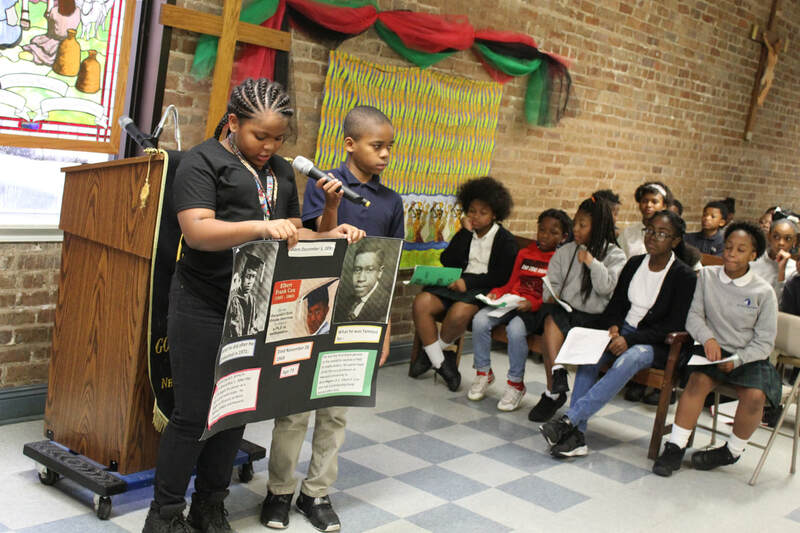 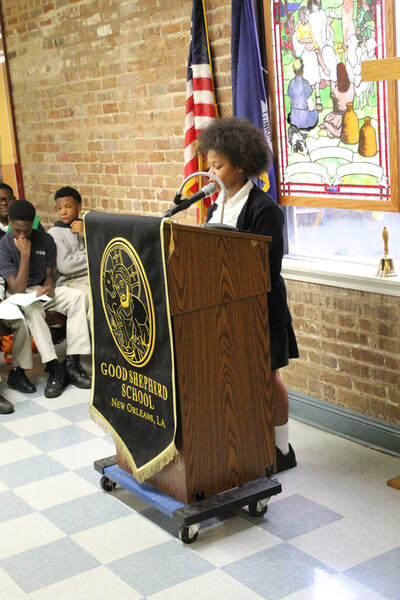 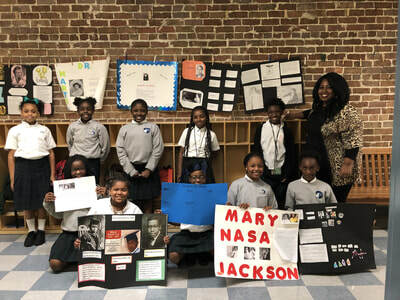 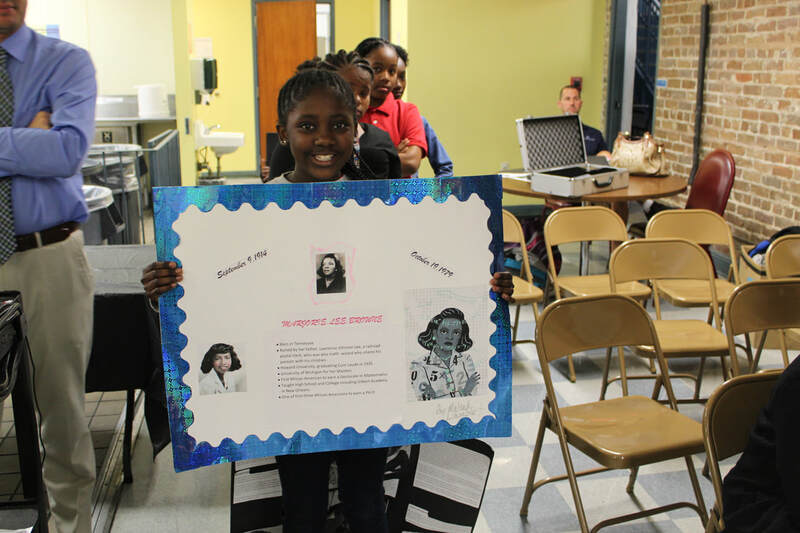 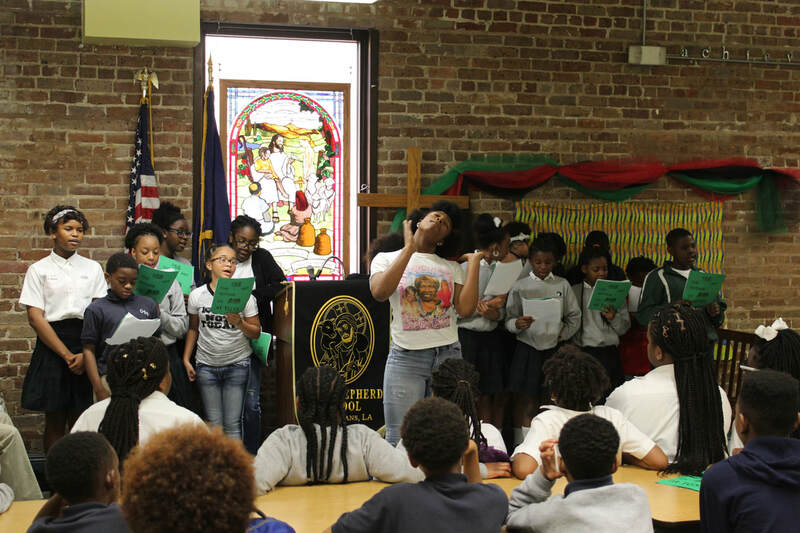 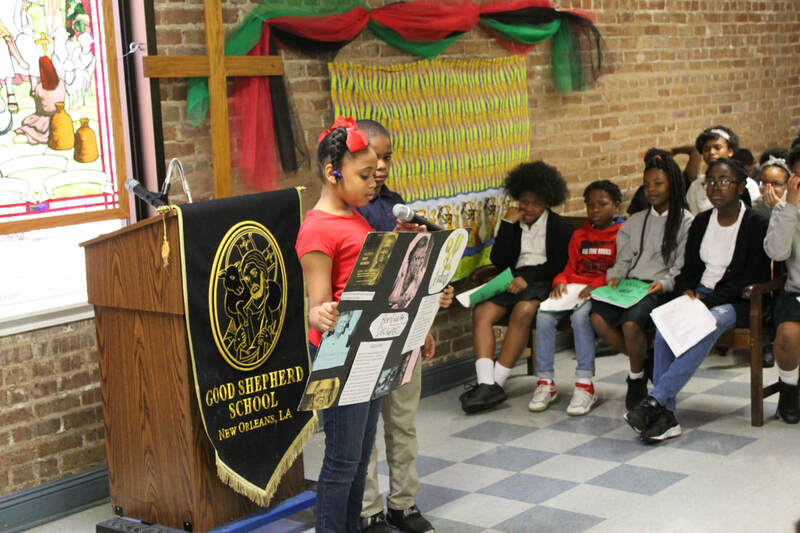 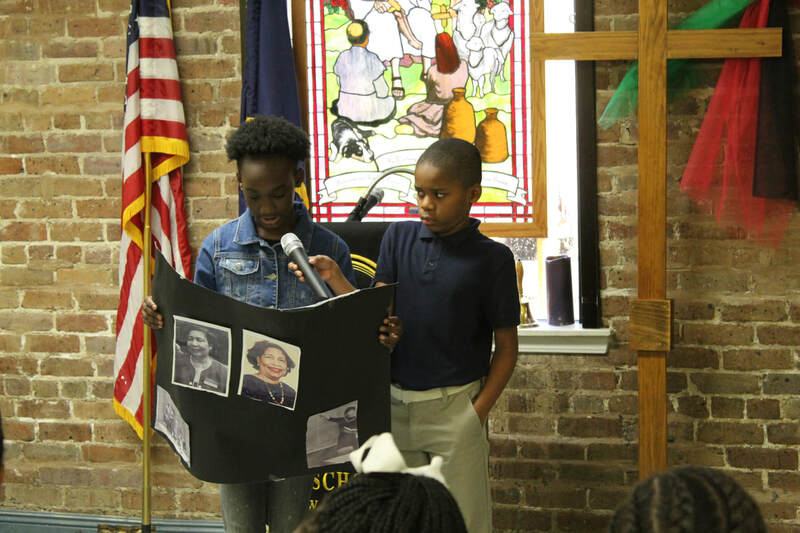 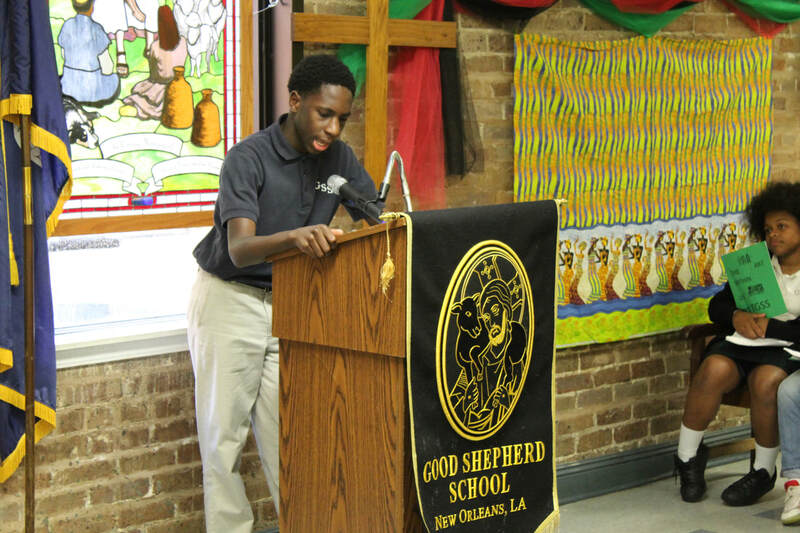 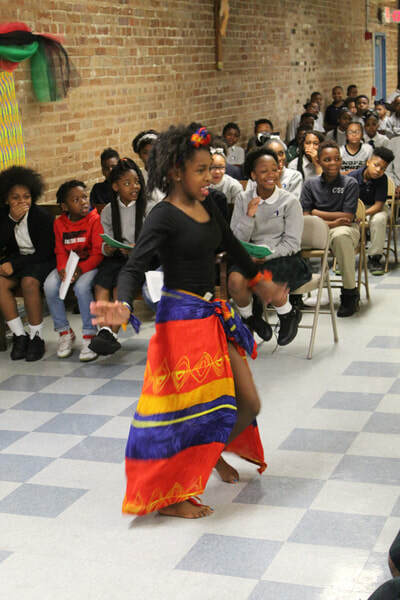 February is Black History Month, so the faculty and students of GSS celebrated and educated the history of the African American culture, music, dance, art, and education. 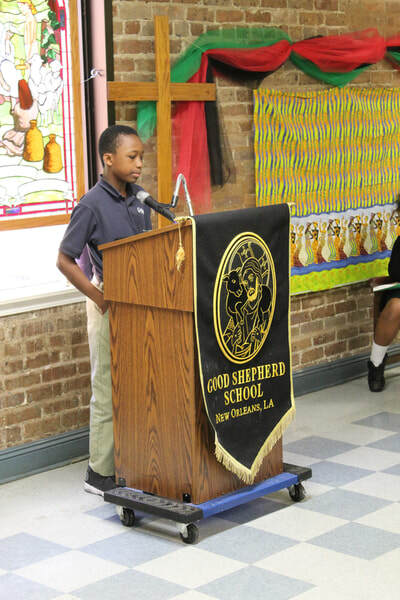 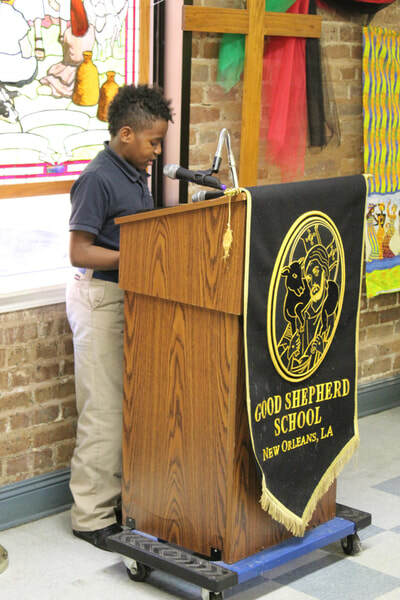 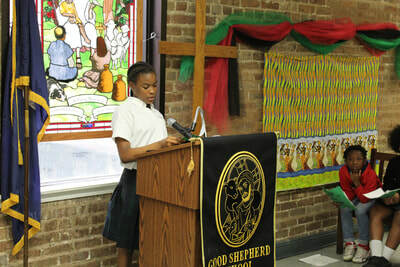 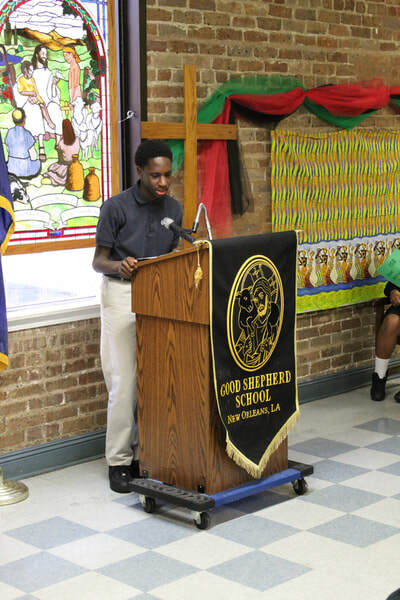 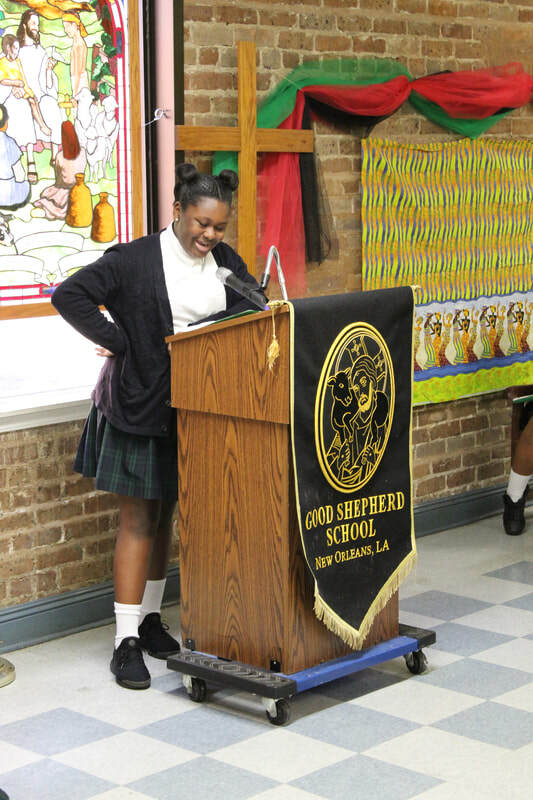 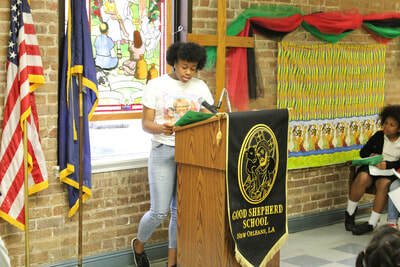 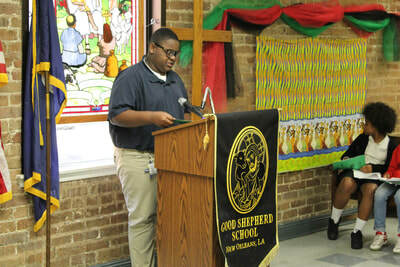 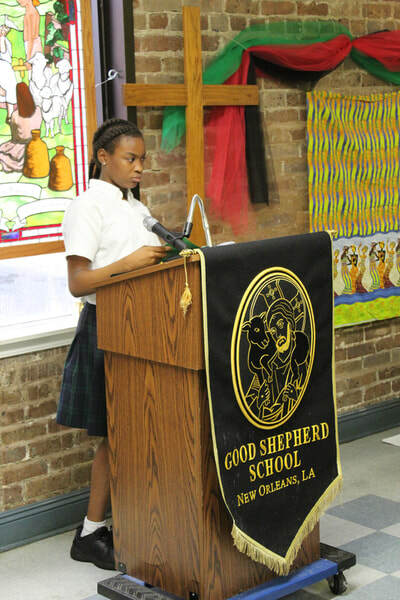 Organized by Ms. Terri Wide and Ms. Kowanda Hill, the celebration highlighted the work of the students. 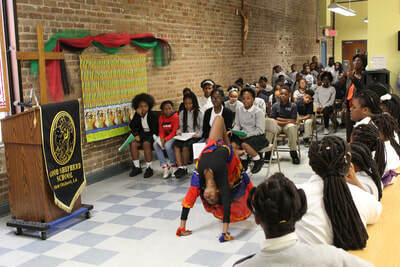 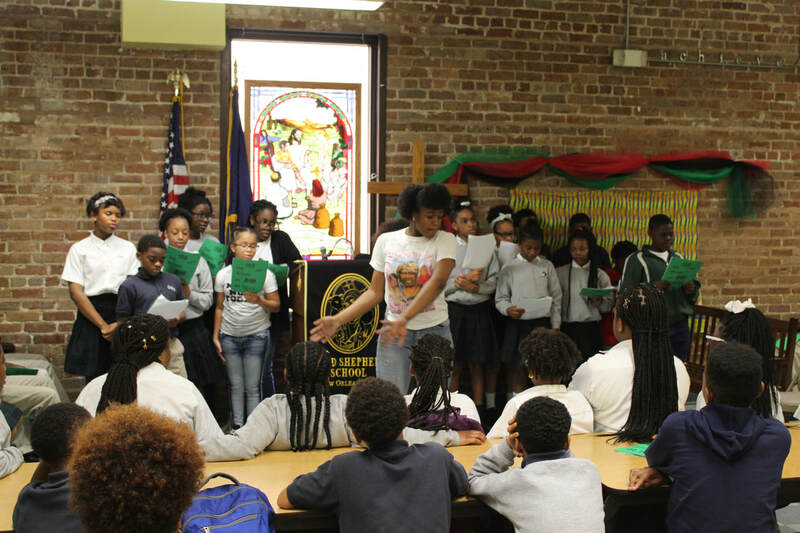 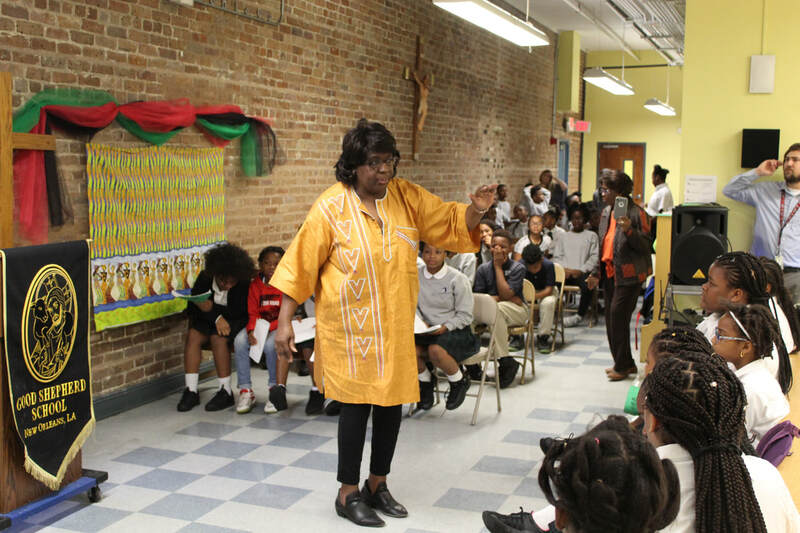 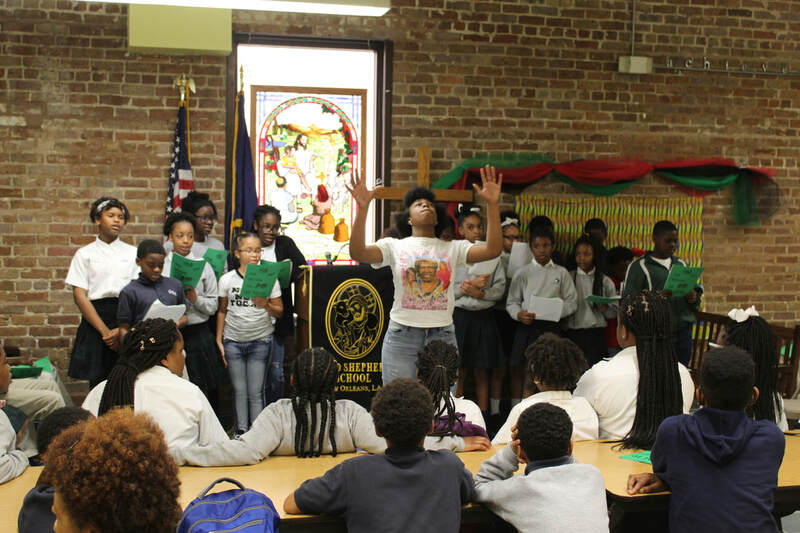 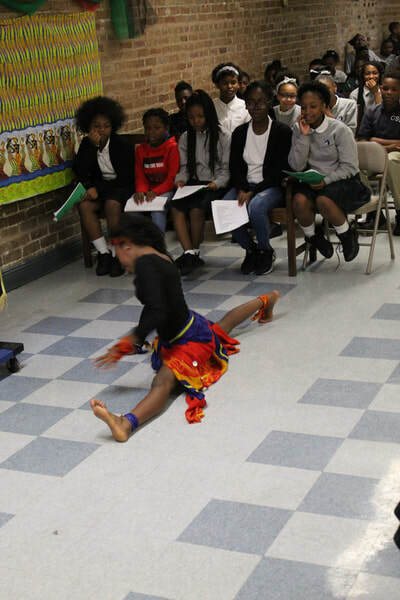 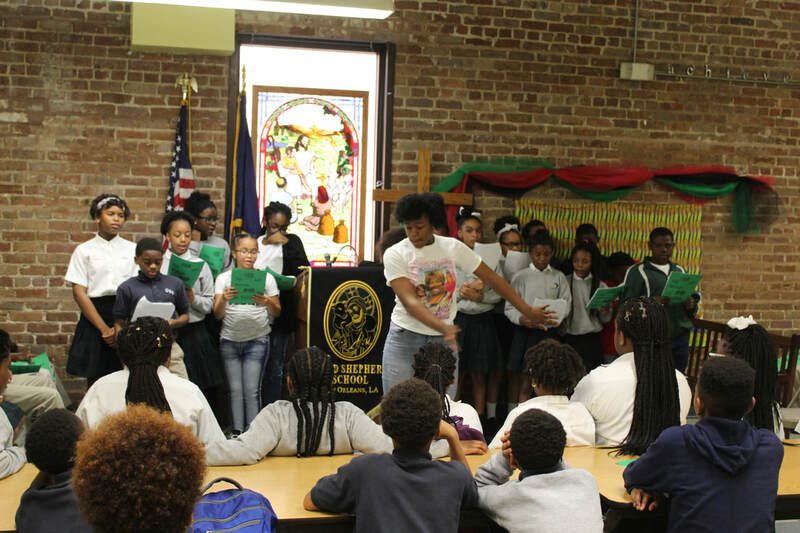 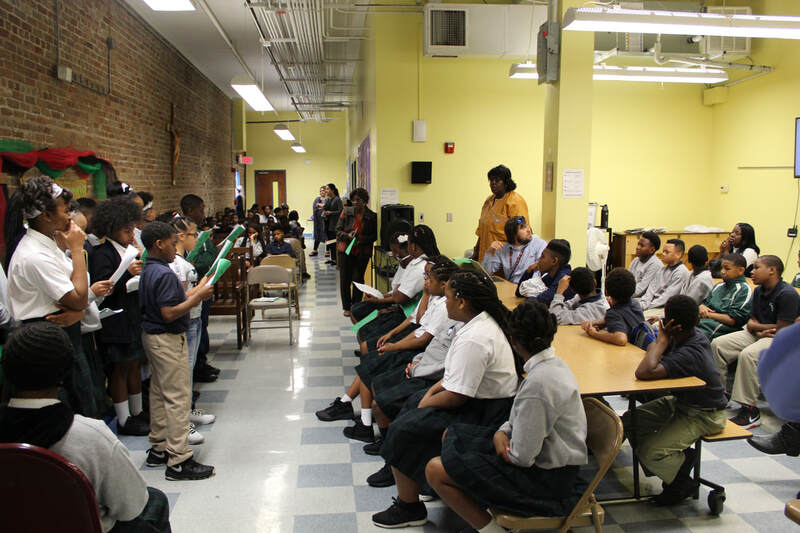 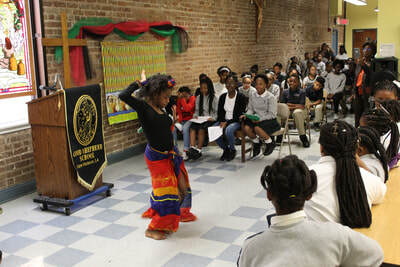 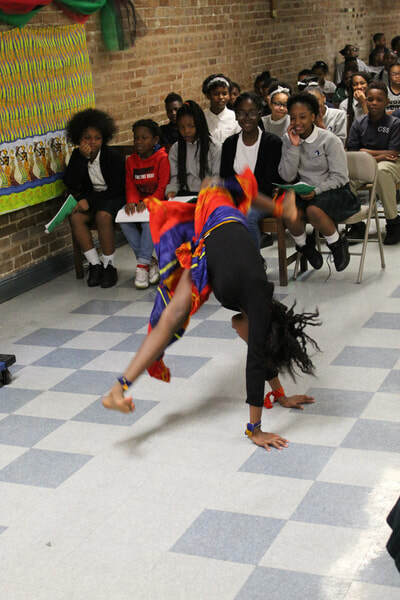 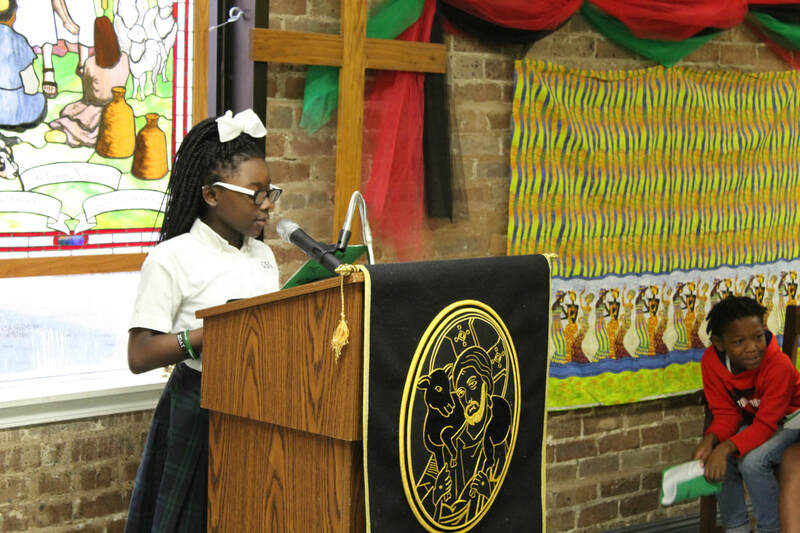 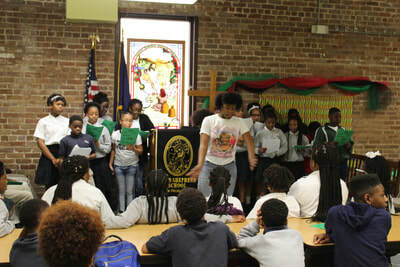 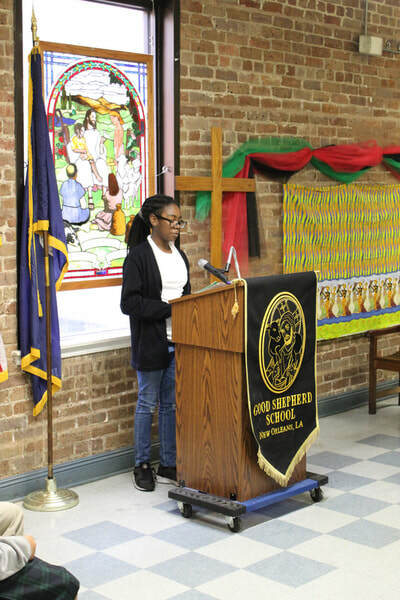 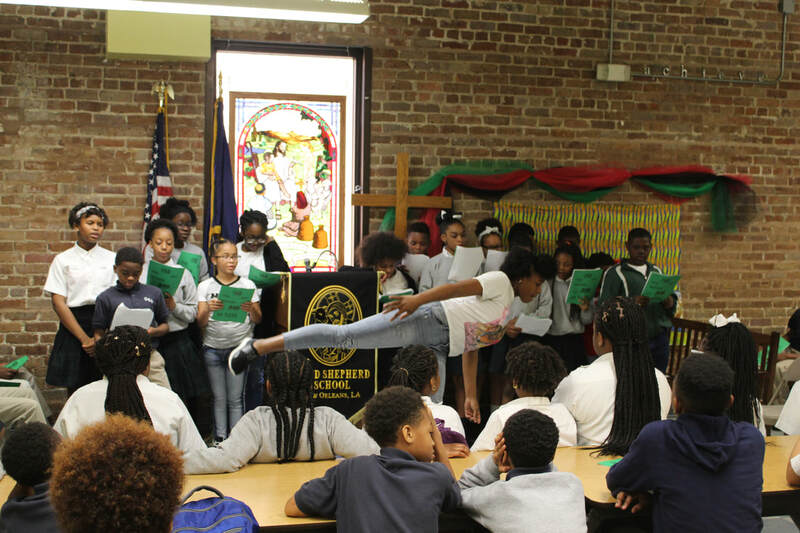 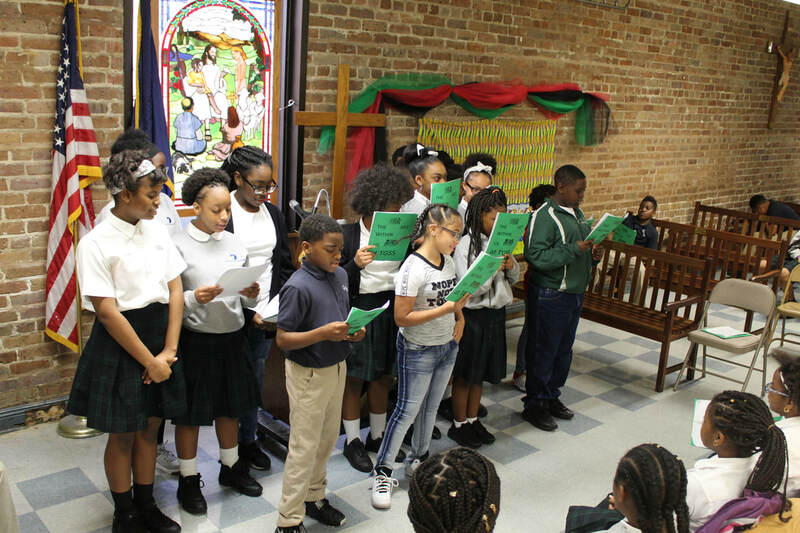 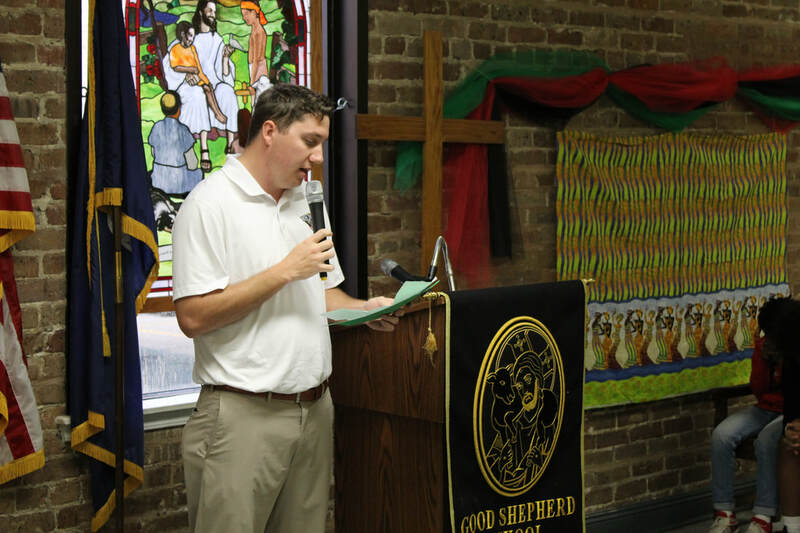 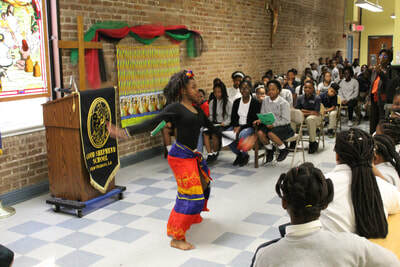 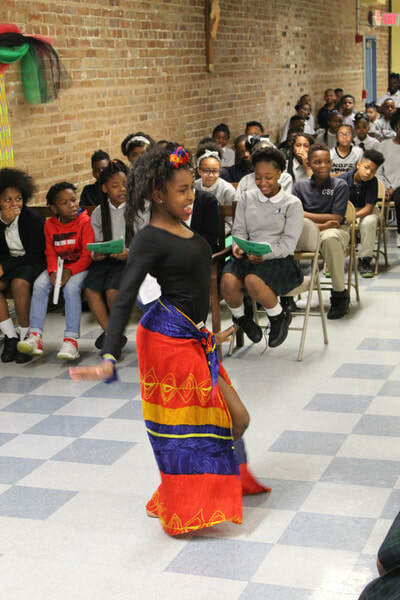 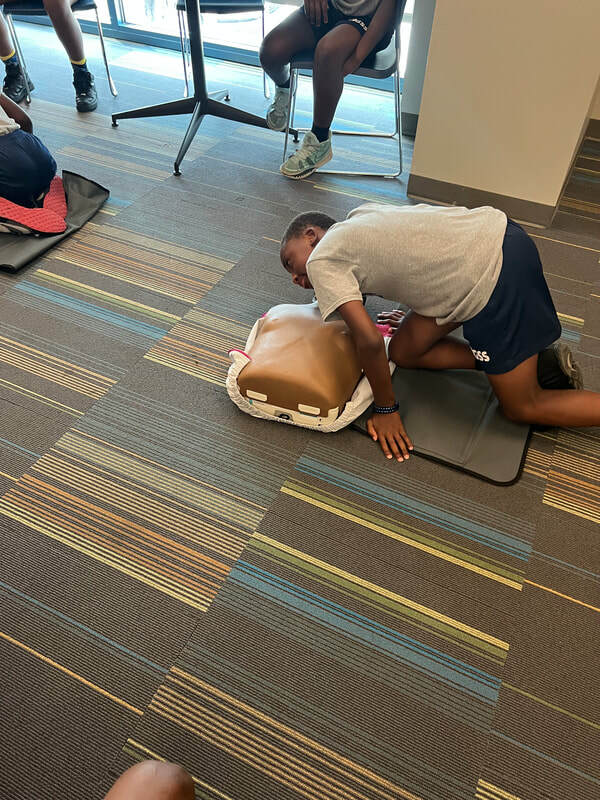 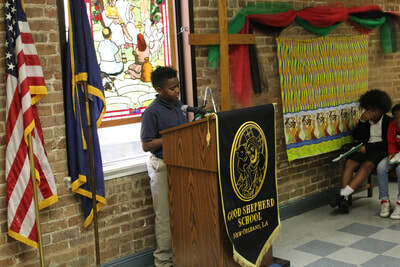 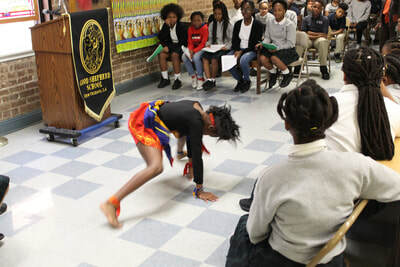 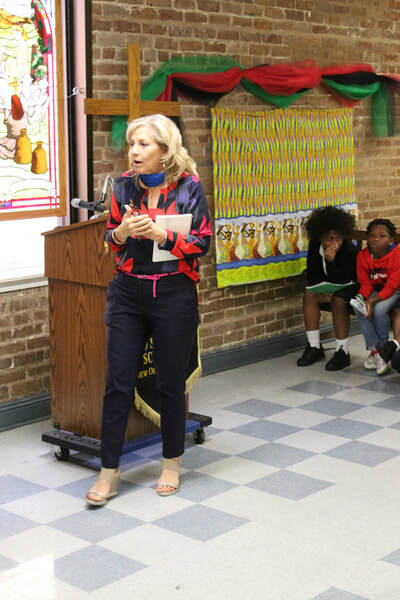 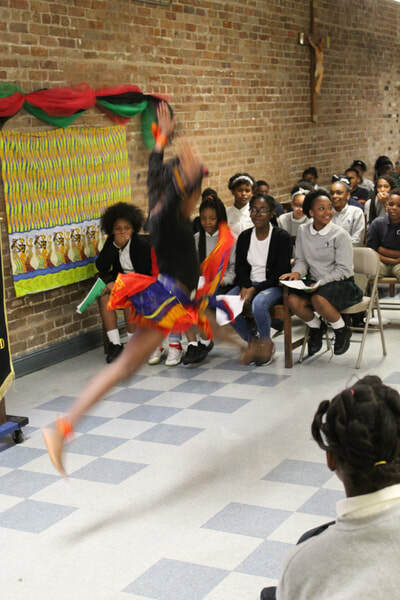 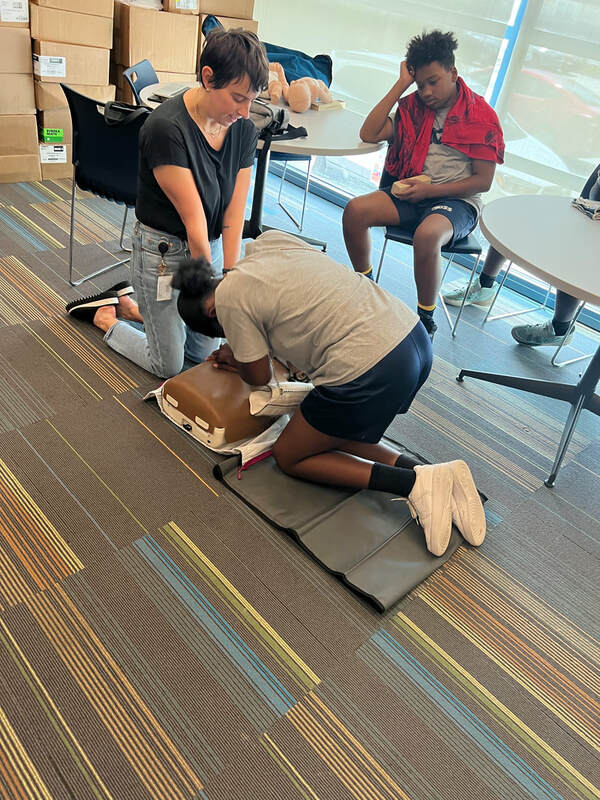 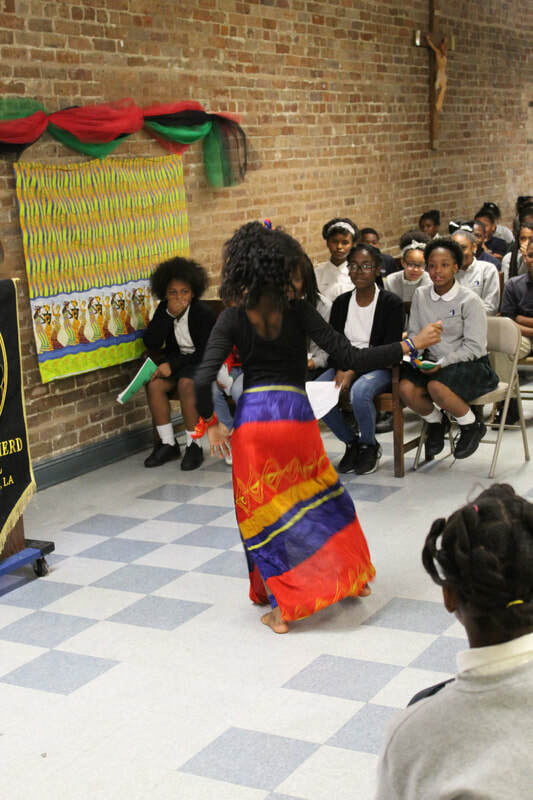 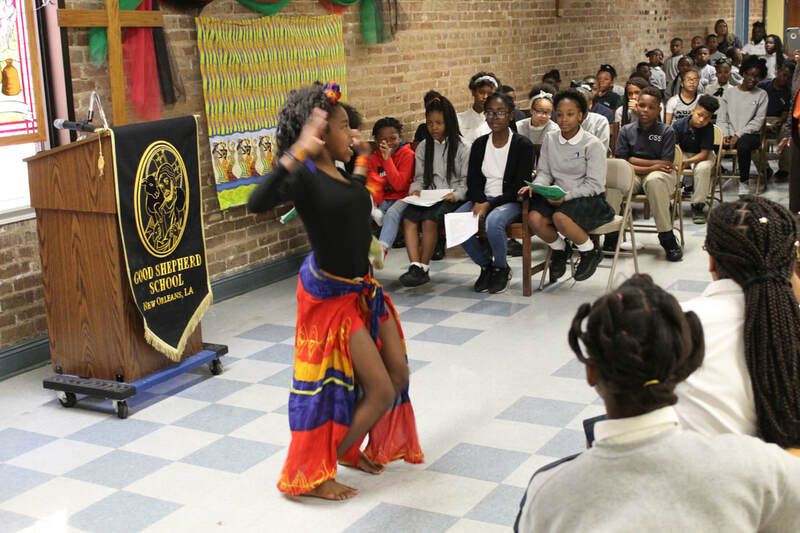 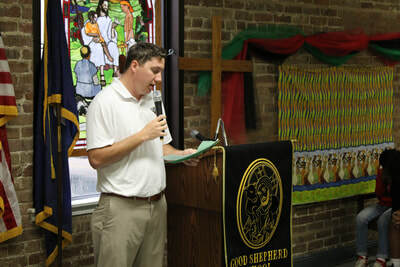 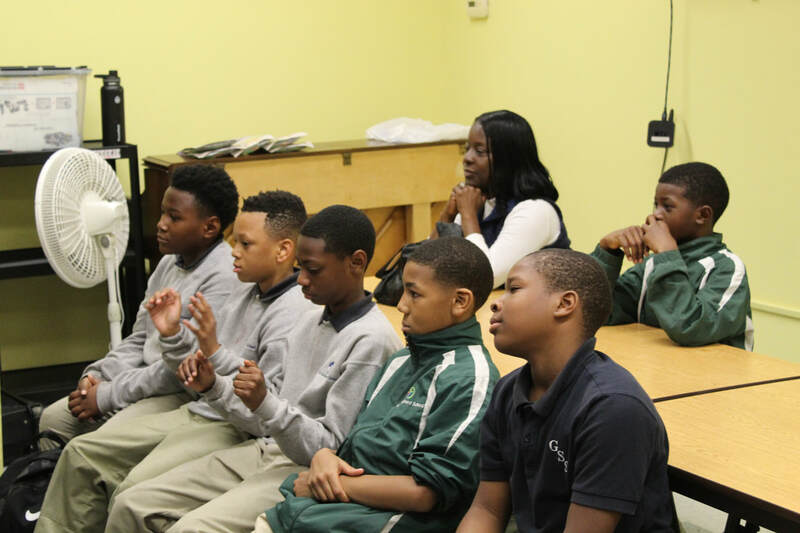 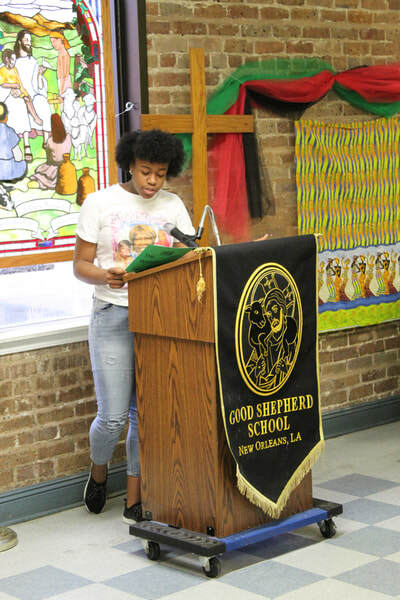 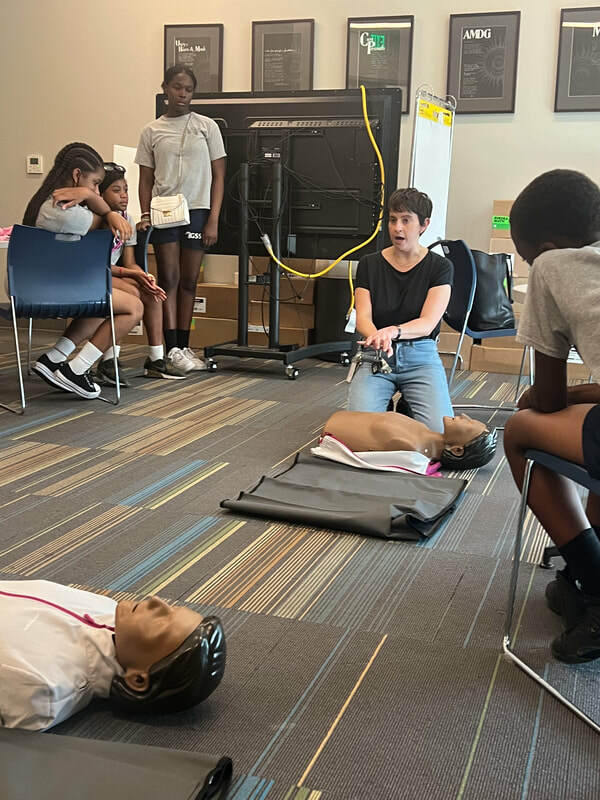 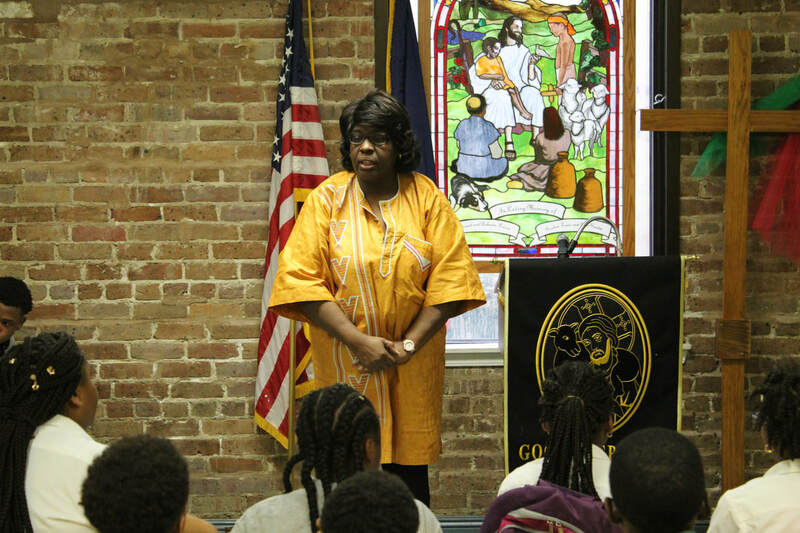 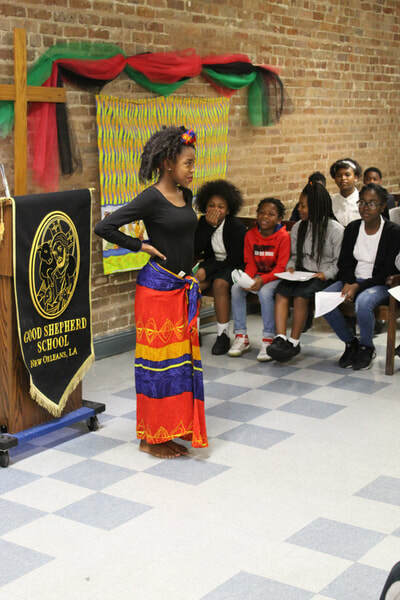 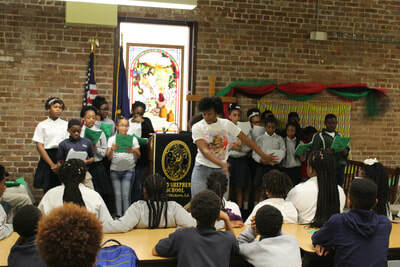 The program began with a series of poems written by the 5th, 6th, and 7th graders (also published by Scholastic), and also encompassed African dance and songs. 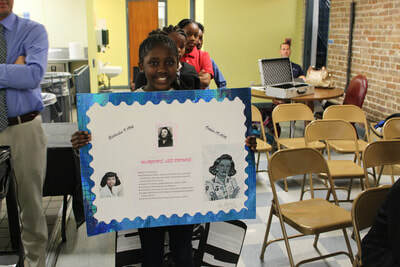 The program ended with a presentation from Ms. Kowanda's math class on African American mathematicians. 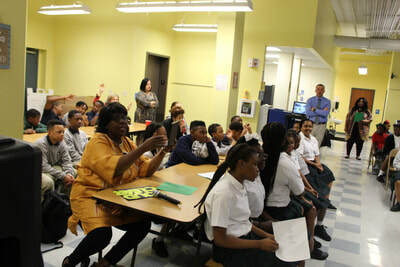 A special thank you goes to all faculty and staff who participated in the program.